I woke up one morning and I was SO SICK OF MAKING SANDWICHES for my children’s lunch. 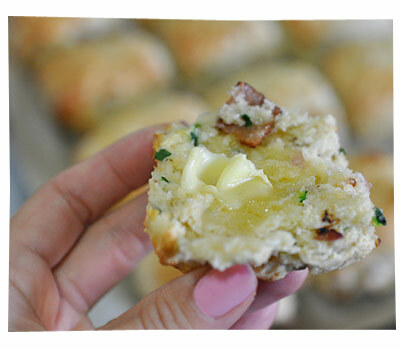 So I found a new recipe and made some very simple cheese and bacon scones. They were so delicious, tasty and soft. I ate two for breakfast. They were just like what you’d get from a fancy cafe, I was soooo pleased. They really are best eaten hot and fresh from the oven! I modified the recipe of course, so here’s my version. 2. Fry the chopped bacon and let it cool. 3. Put butter and half the flour into a large food processor. Process on low speed until butter and flour are combined and there are no lumps. Pour in the rest of the flour and process again. This took me 2-3 minutes. Or you could do this all by hand. Add the cheese, bacon, milk and mix on low speed until it turns into a dough. Don’t over mix or the scones will be tough and dry! 4. Plop the dough onto a floured bench top and flatten it with your hand to a thickness of 3cm. Cut the dough into squares (looks a bit more cafe style this way!) of 5 – 7 cms. 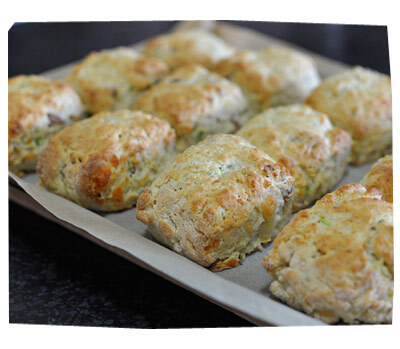 Put the scones on a lined baking tray and brush the tops with a bit of milk. 5. 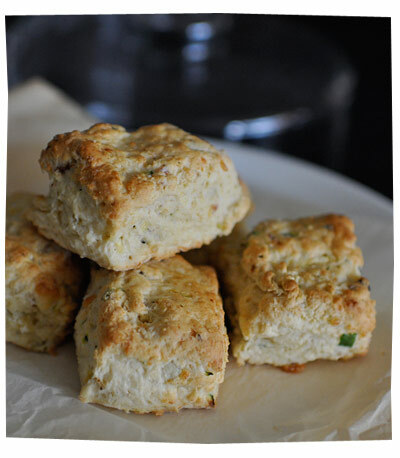 Bake the scones for 15-20 minutes until golden! Ta da! I also added 1 tablespoon of chopped chives and about 100g of grated zucchini. Serve hot with a smear of butter.